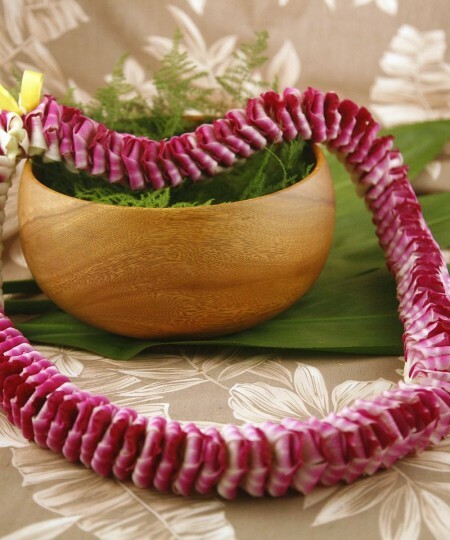 Categories: Blue Leis, Fresh Wedding Leis, Graduation Leis, Green Leis, Hawaiian Flower Leis, Hawaiian Leis and Corsages, Men's Leis, Purple Leis, Red Leis, White Leis, Yellow Leis. 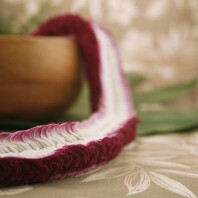 Hawaiian Lei Etta style is a popular lei with a unique style. Each loose orchid bloom is carefully folded by hand. 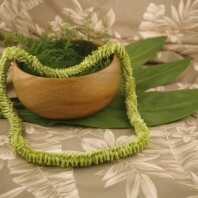 The orchids are then sewn in a rope style for a masculine lei about an inch and a half around and thirty five inches around. 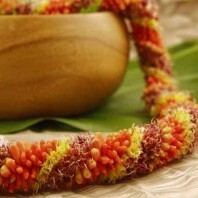 For a young man looking for a graduation lei this is an excellent choice. It can also be used for an honoree at a special occasion. 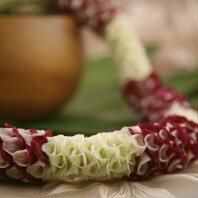 This is a fresh orchid lei and does not have fragrance. It will hold up well when shipping to anywhere on the mainland. Keep it refrigerated in a bag until time to wear. 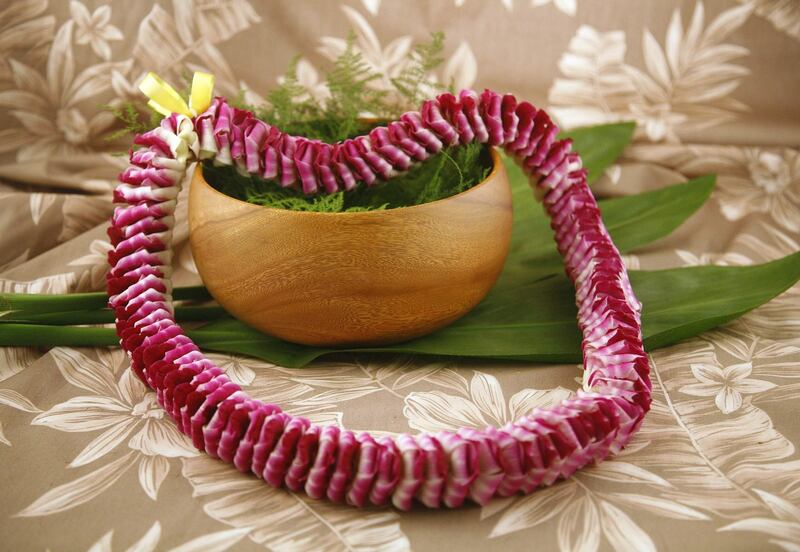 The Hawaiian Lei Etta is offered in a choice of six colors. The basic purple is made with orchids of a natural color. 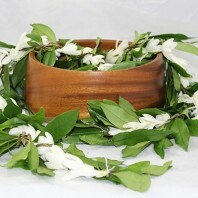 Likewise, the white Etta lei is made from pure white fresh orchids. 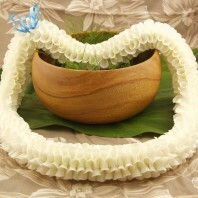 We can generally send you Etta leis in white or purple though it is always best to order well in advance. Choose your delivery date when you check out on line. 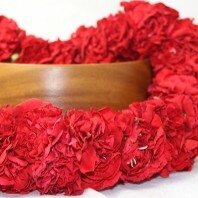 Looking for a graduation lei in your school colors? Or the guest of honor’s favorite color for any occasion? 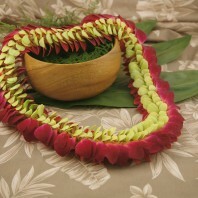 We also make the Hawaiian Etta lei with our special color infused loose orchid blooms. 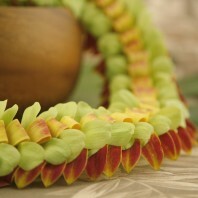 Color infused Etta leis must be ordered a week prior to shipping. Preparing the color infusion takes extra time. We start with purple and white dendrobium orchids and infuse them with special coloring while on the stem. This is not a cheap dye and will not rub off on clothing. Choose from an infusion of blue, green, red or yellow. The colors blend well with the purple of the orchid blossom and are revealed in the white sections. Select your color in the drop down above to see each lei. 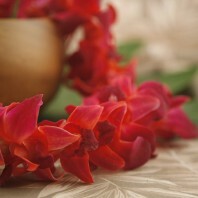 Lei care for color infused Etta’s are the same as for any orchid lei. Just refrigerate in a bag after misting lightly with clean water. 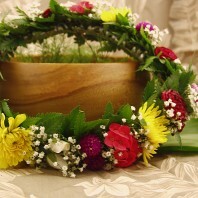 They leis will last for 3 or 4 days after they arrive if kept cool.